Might be more enjoyable with a different narrator. 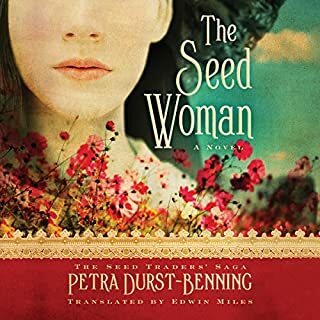 After a long and trying journey from her home, Hannah arrives at a charming village nestled in the foothills of the Swabian Mountains, eager to find Helmut Kerner, a traveling seed merchant she loved and lost. 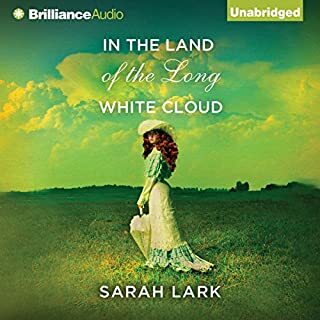 Enchanted by the glorious wildflowers and thriving harvests stretching as far as the eye can see, Hannah feels less like an outsider with each passing hour, until she meets Seraphine, an ethereally beautiful dreamer engaged to be married to Helmut, the father of Hannah's unborn child. International best-selling novel set in 1920s Ceylon, about a young Englishwoman who marries a charming tea plantation owner and widower, only to discover he's keeping terrible secrets about his past, including what happened to his first wife, that lead to devastating consequences. 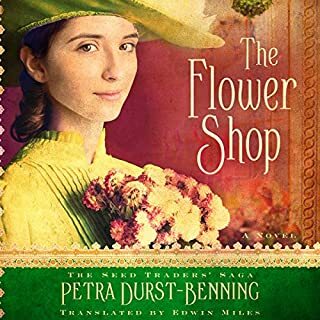 Twenty-year-old Flora Kerner has arrived in Baden-Baden, the “Summer Capital of Europe.” Having spurned the family seed trade, Flora has instead chosen to accept a floristry apprenticeship in the famed German spa town. She is a quick study in the art of flower arranging, but progress is slower in matters of the heart. Before investing 15+ hours in this book, do know that the plot lines will not be in the least bit resolved, but you'll just have been set up for book 2 (and maybe 3, I don't know). Having said that, I very much enjoyed the book. The author does not betray any great in-depth knowledge of Indian topography, flora, or culture; that aspect is a little disappointing. Nor, despite the continuous references to tea throughout the story, does she enlighten us about what makes for a good tea, or the nuances of its production, blending, and distribution. The story, while set initially in India, quickly transitions to Newcastle, England, and remains firmly there for the rest of the book. The primary story, perhaps, is that of two sisters struggling against some rather cruel and unfortunate strokes of fate, and by dint of the elder sister's doggedness and tenacity, managing to overcome them. The story is an epic one, beginning in the protagonist's early adulthood and continuing through (at the end of book 1) to her being age 33. The follow-on will surely take us through another decade or two. It is very much an old-fashioned type story, with many fortuitous coincidences that stretch one's credulity and a predictability that becomes evident from the first few chapters. Yet it is endlessly varied and kept fresh, as new characters come and old ones fade out, and there is constant drama and tension that keep you wanting to move forward. A word on the performance: not very well done, I'm afraid. The reader over-enunciates and her sense of timing is frequently dead wrong and inappropriate to the context of what is being said. Her rendering of male voices is clumsy and unconvincing; most of them sound badly constipated and stiff as wood. Indian characters are not realistic sounding, but she does sound plausible with her north English lower class accents. Fortunately, the plot carries the listener forward and one learns to overlook the weakness of the reading. the story could have been better. the author threw everything even the kitchen sink at the heroine, and it took way too long for her to get with the hero. by the time they got together it was no longer believable. The characters were also too predictable. This is a story that stirs every emotion. It was well written and held my interest to the very end. in how to aquire what one desires . A gripping and addictive story! Absolutely loved it! Clarissa's character was a little frustrating at times but that's what made the story. I highly recommend it. Wow! What a wonderful story! 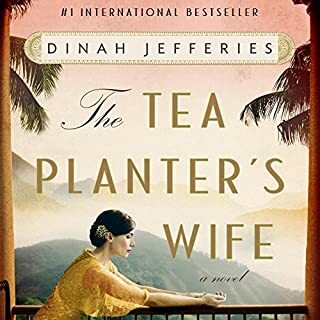 The Tea Planter’s daughter is a story you never want to end. Compelling and unique characters, refreshing and well paced storyline. I felt I visited India and Northern England of Victorian times. Tears, laughter and sighs, I’ll never forget this story! Sarah Coomes portrayed the characters like no other could have. Excellent! This story is like a mind numbing soap opera. Too much drama, too many complications, which tells you that the writer has tried to stretch a story too far. I listened to all three books in this triology consecutively and they didn't disappoint. I loved the characters and felt I was really engaged with them. The storyline holds its own until the end and certainly doesn't disappoint. 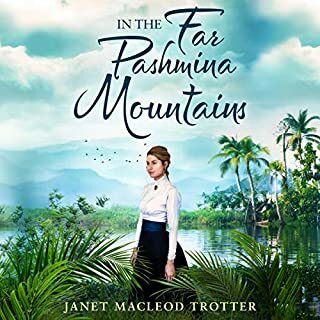 I also enjoyed the historical aspect of the story, learning much about India and Indian nations during British occupation. All together, stories that flow well, are totally believable and are character driven. After a 4 month slump from reading this book finally got me back from the depths. A combination of vivid imagery and mountains of emotion this books contains it all. I felt an automatic love for Carrie and her stubborn pride and heart full of dreams. Wanted for her to finally be happy. Really looking forward to the rest of the series! I found the story a bit staid and unoriginal - typical boy-meets-girl, girl finds boy obnoxious and rude, they despise but secretly long for one another, always cross paths and end up in shouting matches because of their tempered emotions etc etc etc. Our protagonist is meant to be a strong, independent female but constantly had to rely on men to rescue her - her father, husband, step-son, lover. There was also an unoriginal Cinderella element with their guardians when they moved to Newcastle. It got a bit tedious. Throw in India and the war but a bit of culture, nostalgia and poignancy. Had to force myself to get to the end because I don’t like to leave pages unturned. 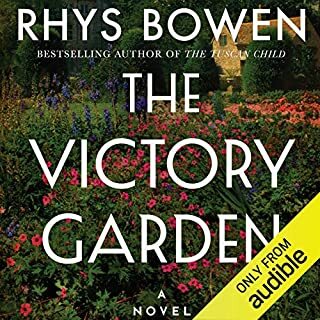 The narrator was great with the accents but always sounded weepy and fretful in the voice of the main character or her sister which started to grate on me after the first few chapters. 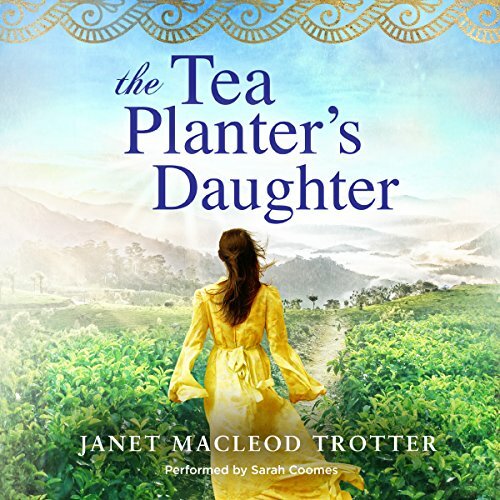 Would you consider the audio edition of The Tea Planter's Daughter to be better than the print version? What about Sarah Coomes’s performance did you like? Like her tone and expressions. Very good narrator. Fantastic from start to finish, the narrator really brought the characters to life. I was completely hooked from the first chapter. What would have made The Tea Planter's Daughter better? I found it annoying to listen to this book as the narrator was terrible. Her attempt at Indian and Scottish accents was dreadful and even the way she spoke normally was irritating as she did not speak in sentences and kept increasing her pitch. I liked the story line but it didn't hold me captivated throughout. I have to admit I skipped along in some chapter's as I felt it rambled before the ending. Story could have been shortened and kept sharper keeping the same twists and turns but cutting out menial tasks or coversations of characters. But overall a cute love story. I may still read the second book. A true historical romance. A bit predictable but still I didn't want it to end.